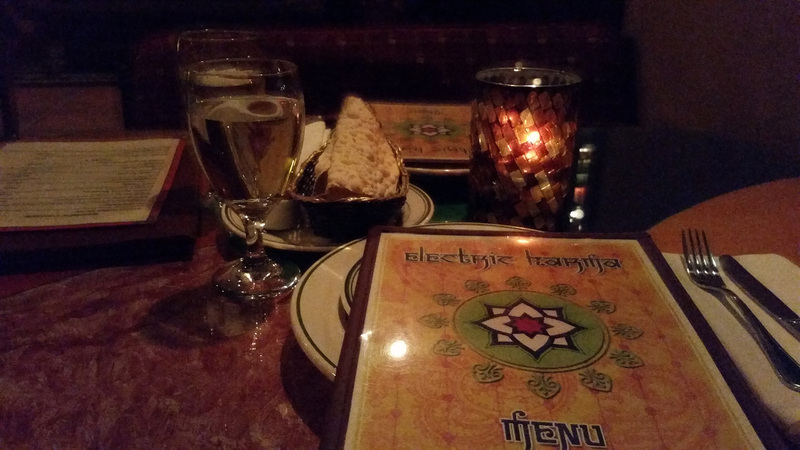 With plenty of restaurants to choose from on Beverly and 3rd, Electric Karma is a gem. 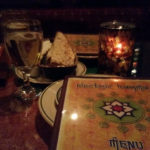 The restaurant features a beautiful restaurant decour for a date night or even with a group of friends. 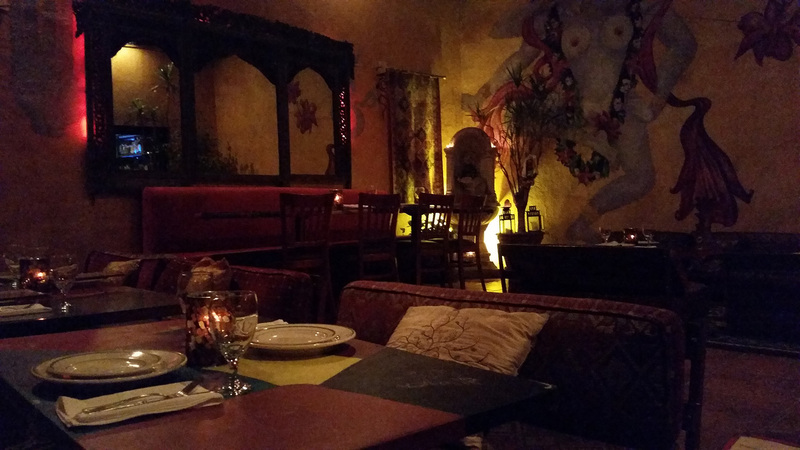 The main room features a typical restaurant setup but with more of mood/low lighting. 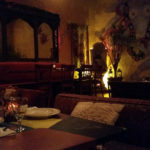 If you are lucky enough to get there early or make a reservation, you can sit in the back area featuring floor tables providing for a more intimate and unique vibe. We had to order the CHICKEN TIKKA MASALA which was actually decent given the spice and nature of the sauce. Their MATTER PANEER (peas and cheese) was really good topped off with RAITA. 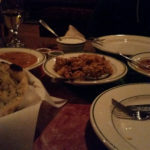 The GARLIC NAAN was very soft and fresh right from the oven. 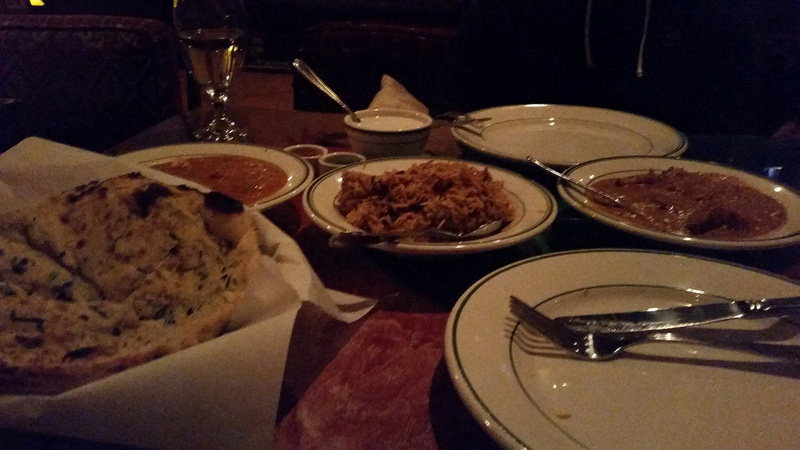 Pleasantly surprised by their LAMB BRIYANI (Lamb chunks mixed in with tasty rice) which was very flavorful. The portions were plentiful and there was enough to share with another. What really does it for this place is the cool ambience. They really took the time to create an appealing setting for restaurant goers. You’ll definitely remember eating here versus many others that have a more contemporary layout. I had heard complaints about the service but we did not have any issues whatsoever. Friendly staff and prompt food delivery. ChaiTime: The chai was bland and you can probably skip it when you go unfortunately.